For Iraq, even as fight-fight from war dey, football na im popular pass for di country. But to see room wey full of Manchester United supporters for Baghdad no be something wey person dey always see. 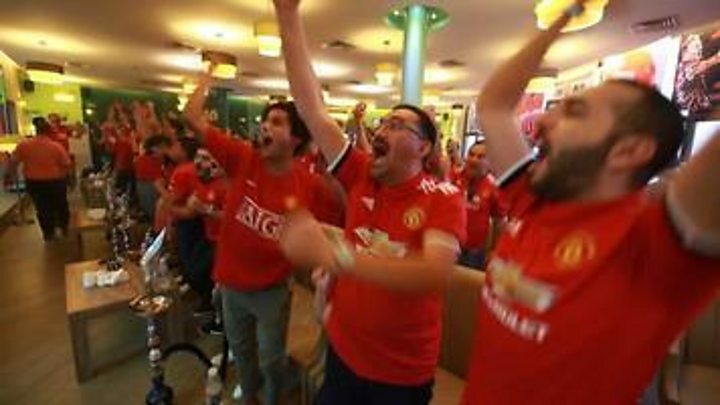 BBC tori person, Nafiseh Kohnavard, visit di official Manchester United Fan Club, where members say football na wetin dem dey use take escape the bad-bad things wey dey happen to dem for everyday life.